We found 2 episodes of More Than Just Code podcast - iOS and Swift development, news and advice with the tag “360 idev”. We are joined by Greg Heo as we look ahead and suggest what Apple may introduce at WWDC 2018. 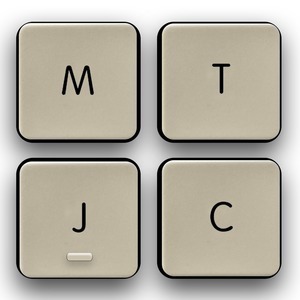 We follow up on the Command key icon, castle connection, as well as Clifford Stoll and the Cockoo's Egg. Jaime uncovers ⌘+Ctrl+Shift+H to find a methods callers. Tim relays early experience drawing and designing typefaces in the early days of Mac. AirPlay 2 gives the HomePod the ability to have multi-room and stereo audio. HomePod launching in Canada, France, and Germany. Felix Krause thinks apps should be in a network sandbox. App Insight attempts to expose 3rd party framework use. Genius Bar Broke an iMac Pro. We lay down our best guesses about where Apple will go with WWDC 2018. Picks: How to debug your mobile hybrid app on iOS, Beacon - Signal Availability by Ashley Nelson-Hornstein, Prioritize Work with Quality of Service Classes.